Here are 7 not so interesting facts about me followed by The Plate of the Week. My very first personalized plates read RADICL. I’ve had my present vanity plates since 1986, RAY-BAN. While the plates in Missouri have gone through color and design changes I’ve kept the same letters. That’s a very long time for free advertising. My Mustang has 78 thousand miles on it, and much to my husband’s financial frowning I am on my 4th set of tires. I’ve only had one speeding ticket in my entire life, and it happened just this October. 48 in a 35, but the officer took it down to 45. After the ticket was issued, I swear the ghost of my father pulled up next to me in his ’79 Trans Am. My husband has driven my car only 7 times in the last 9 years. My first car was a ’79 Bobcat with a stick, and I remember boasting to anyone who would listen that it would someday have a 289 in it and that I would be racing at I-55 Raceway in Pevely. It was such a tiny little car that the Cragars I had to have only had four (not 5) spokes. Oh, the dreams of a 17 year old. It was a great little 4 speed! Click here to view. I openly wish I had NOS and a manual transmission in my car. And I drive as if I have both. What I feel like I drive. I do not like this week’s Plate of the Week. That’s why his silly little picture is mixed in with all this stuff about me. Ha to him. 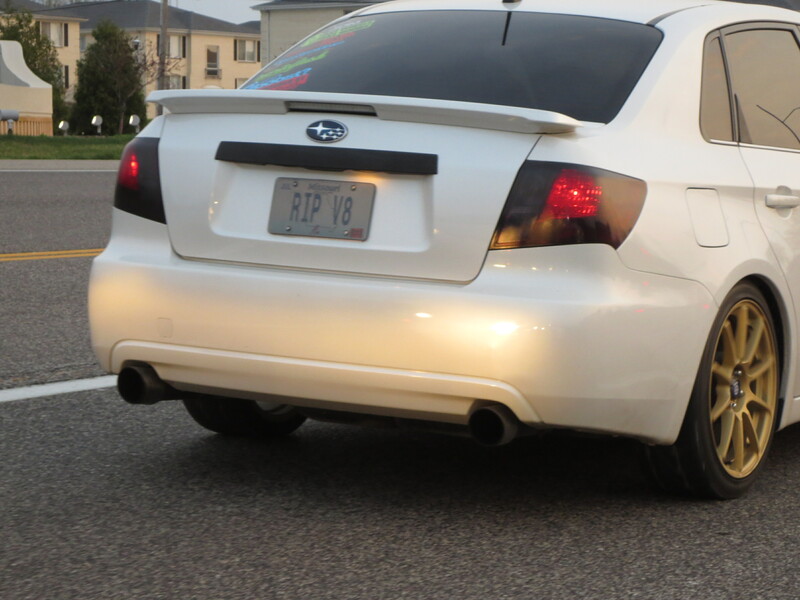 Rest in peace, V-8…I think not! This entry was posted in Journal, Plate of the Week, The Burnoff Area and tagged Cragar SS, Eagle GT, Ford Mustang, muscle cars, P!nk, Ray-Ban Sunglasses, Trans Am. Bookmark the permalink. This looks like a great post BFF. I will read it soon. Keep up the good work. The plate on the Subaru has given me the hump as well. You should of pulled up next him and asked if their new model has 1, 000 bhp frim a v8 as a stock engine. I bet my car keys it won’t. lol. I’m delighted to say that i giggled a bit and told the officer that …”I now have a new story to tell”. He was surprisingly amused….The Subaru driver made an unattractive move toward the highway, surely to avoid the menacing sound of my V8!